Are you looking for a wedding gift that is unique, durable and classic? Let me suggest a really wonderful wedding gift idea which you can make your gift receiver happy and cheerful! A Turkish coffee set crafted with traditional ottoman culture and craftsmanship would be great if you look for a unique wedding gift which is beautiful and durable! How to select a Turkish Coffee Set as a wedding gift? Well, now you decided to gift a Turkish coffee set for a couple who are going to marry in coming days. But, still you don’t know how you can select best authentic Turkish coffee sets. 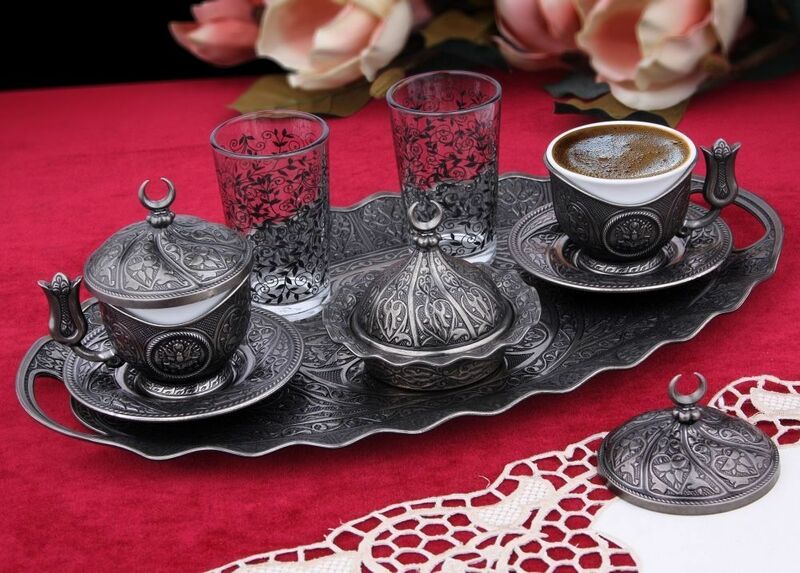 Here are some tips to consider when you buy a set of Turkish coffee set. First consider the serving size of the coffee set. I found that Turkish coffee sets come as set of two, four or six. According to the service size, the prize may vary too. 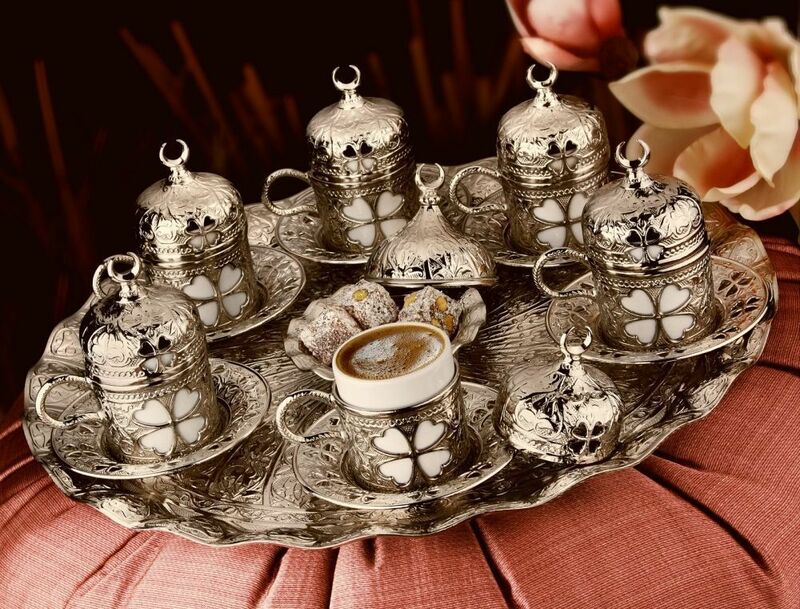 Once you decide the size of a coffee set you are looking for, it is easy to select a beautiful Turkish coffee set with narrowed down design ideas. You also need to check and decide the material of the coffee cups. Some Turkish sets come with zinc casting and some sets include glasses. Some coffee sets are gold plated.With your choice of material and designs available, it is really easy to further narrow down the coffee sets to select the best Turkish coffee set which you want to gift. Another most important thing to check before you buy your Turkish coffee set is country of origin. It is useless if you gift a Turkish coffee set to a couple but originated from another country that does mass productions. Instead buy from a shop which sells Turkish coffee sets which are made in Turkey. That will keep the value and trust for your money spend and at the end, your gift receiver would be happy to receive such valuable and authentic gift originated from Turkey. You can also check www.fairturk.com as they sell beautiful Turkish coffee sets and other Turkish products made in Turkey. A durable and strong Turkish coffee set would be a wonderful keepsake for the gift receivers which they would like to talk about many years. Best Wedding Gift Ideas to Make the Couple Smile!